Since Nintendo finally announced plans to bring Dragalia Lost(Free) to more regions, there will no doubt be people who haven’t played it using a US iTunes account who want to get into it. Thankfully, the team has made some things a lot better for new players and is working at making the game even better. There is also a steady flow of free gifts like a new Tenfold Summon Voucher that will be given to commemorate the new update that is now live on the App Store and Google Play. 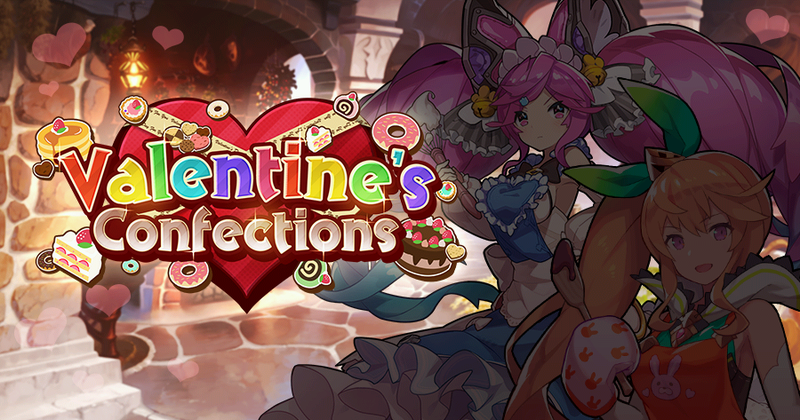 Dragalia Lost 1.4.5 adds support for the Valentine’s Confections event that will go live tomorrow and also more preparations for the Void Battles. Details about this will be revealed tomorrow. Elemental ruin quests can now be challenged at any time for Beginner and Standard quests. For Expert Quests, the quest you can challenge will change based on the day of the week. This change will be implemented tomorrow. The update also has various fixes like notification screen display issues being addressed, Debuff effects for adventurers not being applied correctly, AI fixes for healing when HP is full on Auto, and more. Dragalia Lost is free to play on iOS and Android Read our review of it here. Nintendo has announced plans to expand the availability of both Dragalia Lost and Fire Emblem Heroes. What do you think of the pace of new content being added to Dragalia Lost so far?